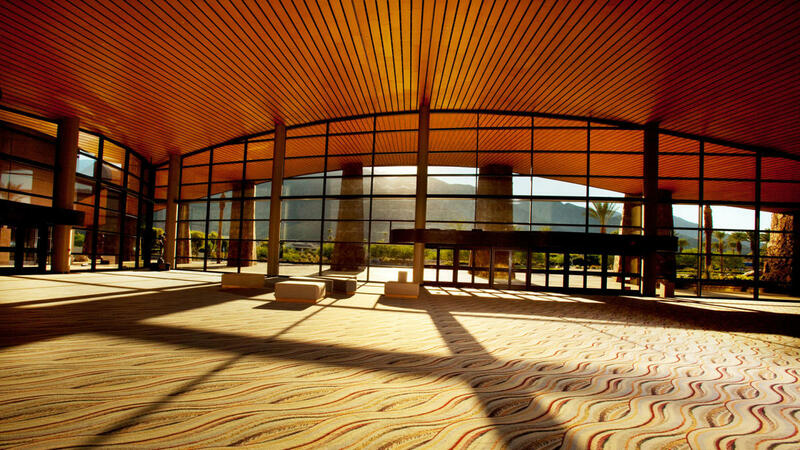 The Palm Springs Convention Center re-launched in the fall of 2005 after an extensive $32 million renovation and expansion. Today, the 261,000 square-foot Convention Center combines great service and staff with a world-class setting and a building that surpasses all expectations. The Primrose Ballroom is divisible into four sections which may be utilized individually as breakouts. Offering 20,016 square feet of meeting space, this room is also popular for General Sessions and meal functions. The Mesquite Rooms offer up to nine individual rooms ranging in size from approximately 900-1,800 square feet, many of which can be combined to offer larger meeting space. Mesquites D, E, G and H also have airwalls which open up to the hallway, making these rooms an excellent location for registration. The Smoketree Rooms offer up to six more breakouts or they may be combined to provide an additional 4,680 square feet of space perfect for a general session or meal location. Their proximity to the Renaissance Palm Springs Hotel and the California Grand Ballroom allows for contiguous positioning of breakouts.